I’m sure we can all relate. There are teens in your life (whether your children, students, or mentees) whom you want to see thrive. You want nothing but the best for them, and it can be discouraging when they make unwise decisions or when they perform poorly in a class, job interview, presentation, networking opportunity, or the like. Your first instinct is to wish you could have been their “inner coach.” But, then you realize that much of our personal growth comes from our disappointments and mistakes. Experience is the best teacher of all, isn’t it? However, since we are the ones with the life experience, it is our job as parents, teachers, and mentors to share our wisdom and lead by example. We want the teens in our lives to be their best selves in all arenas of their lives (school, relationships, sports, family, spiritual life, job, etc. ), so it’s up to us to show them our best selves as well. Here are three ways that you can help your teen be his or her best self and excel to the best of their ability. Remind them about the importance of positivity and an uplifting attitude. No one enjoys a Debbie Downer! This is especially true at job interviews and other similar networking opportunities. If your teen is looking for a last-minute summer job or hoping to nail down an internship, talk to them about the importance of positivity. Employers are much less likely to hire someone who has a negative, sullen countenance. Make a concerted effort to model this behavior yourself. When an unexpected situation arises, do a self-check and note the kind of behavior you are modeling around your teen. Positivity is not only good for our own morale, but also the morale of others. An attitude that uplifts others will benefit them not only on the job search—it will likely impact every area of their life for the better! Help them master the art of making a great first impression. As teens mature, their relational skills become that much more important. There are new friends to make, new jobs to land, new ambassadors to cultivate for their network, and perhaps interviews for college and scholarships. Today’s younger generation is far more casual than their adult counterparts, and many are flunking the test in more professional settings. The sooner they can develop an A game when meeting new people (especially adults! ), the more successful they will be. Create fun role-play scenarios that involve new social settings and job interviews to help them build confidence when meeting new people. And, encourage them to view every adult they meet as potentially the most important person they’ll ever know. Trust me, they WILL stand out if they do. Don’t forget to instill an appreciation for (and the practice of) politeness. ‘Pleases’ and ‘thank-yous’ go a long way in every facet of life (job interviews, networking meetings, social settings, first dates, etc.). This is another area that we as parents and teachers can model ourselves. Do we make a conscious effort to be polite to both strangers and friends? How about within our families? Impress upon your teen that manners are essential to building a great personal brand. One of the greatest assets we have to offer the teens in our lives is our wisdom and life experience. Let’s use it to their benefit by building the life skills that will help them thrive in the real world. It starts with leading by example—because our actions usually speak louder than our words! What does it take to “succeed” in life? This is a question we often ask not only for ourselves, but also for the young adults in our life whom we want to see thrive, succeed, and achieve their destiny. In our work with teens, educators, and parents, we’ve developed a helpful diagram that illustrates the path that most of us travel throughout life on the road to accomplishing our goals and “life purpose” (aka “destiny”). You can see it starts off with our personal development, which combines our education, experiences, and nurturing. Next, comes a healthy self-awareness (i.e., Who am I? What do I have to offer? What are my passions and interests?) The invaluable outgrowth of these two steps is a sense of value, hope, and belief in ourselves and our future. Buoyed by these three steps, we can now develop a positive vision for our lives that, through daily implementation, determines our DESTINY. More often than not, as parents or educators, we tend to jump in at the “vision” or implementation stages when we want to motivate teens (i.e., “You can be whatever you want to be,” or “Study hard; clean your room; stay out of trouble!”). But, when there’s not been enough time spent on the preceding stages, the child may “check out” at the Value, Hope, and Belief step—which makes it exceedingly difficult to impart vision or teach implementation skills. All too often, they drop out of high school or become involved in high risk behavior and groups to find a sense of belonging. Bottom line, when kids don’t feel valued, they lose hope—and may miss out on reaching their full potential as a result. Their destiny is compromised. Research and experience inform us that the best way to build value in people of all ages is to connect with them—to affirm, relate, and encourage in a relational way. So, how can we do this with our children and/or students, and particularly if our relationships are strained? For one thing, we have to get to know them as individuals. A good relationship between any two people rests on the platform of mutual respect and valuing the other’s unique gifts and contributions. Each person has characteristics that make him or her special and that set him/her up for a unique destiny. Teens vary remarkably in their needs, reactions, communications, and behavioral styles. This impacts how they respond and relate to the world around them. As famous football commentator and coach Tony Dungy wisely said, “It’s hard to lead someone you don’t know.” This is just as true in educating (or raising) teens as it is in coaching football players! Ultimately, when we connect with our kids and students, we foster a sense of hope and expectation they need to thrive. Hope has the power to buffer people from stress, anxiety, and the effects of negative life events. More than that, neuroscience tells us that hope actually changes brain chemistry! Hope motivates learning and enables kids to move forward to their destiny, and to absorb and apply the valuable lessons and skills they need along the way. Bottom line, the next time there’s a challenge with a student or a child, take a step back. Consider the Pathway to Destiny and see if you can identify where that child has the greatest need right now. Is it really for a pep talk or a how-to lesson? Or is there perhaps a need to back up a few steps, to focus on the foundations, to communicate, relate, and connect? When we do, we plant HOPE—which has exponential power to propel kids forward on the path to their destiny. This was Part 3 in a series on Social Emotional Learning; visit our blog archive to see Part 1 and Part 2. Also, check out LifeSmart’s What I Wish I Knew at 18 resources for developing life skills, college and workplace readiness, and a strong personal leadership foundation in high school and middle school students. Conversationally written, and designed to impart life wisdom and practical skills in a relational context, our resources will help you make social emotional learning a vital part of your classroom or home environment. Another employer was recruiting at a career fair on a college campus. Based on first impressions and conversations with graduating seniors, not a single student was invited in for an interview. A local restaurant owner received a call from an “ill” teenage employee five minutes before start time, yet fifteen minutes later she was posting pictures of herself at a beach party. It cost her the job. You might think these are exceptional cases, but we hear stories like this all the time from employers of teens and young adults. As accomplished as young workers may be academically or otherwise, far too many are not workplace ready. As the marketplace becomes more competitive, are we actually regressing at launching real world-ready graduates from our homes and schools? Many agree and point to such contributors as ineffective parenting, lack of whole person training in schools, and high youth unemployment rates. This is why I’ve been encouraged by the work at the Weldon Cooper Center at the University of Virginia and CTECS (Career and Technical Education Consortium of States), who have taken proactive steps to turn the tide. They surveyed employers to identify their most valued workplace readiness skills, and their conclusions, summarized here, establish 21 Workplace Readiness Skills (WRS) for the Commonwealth of Virginia. At LifeSmart, we want to contribute to this crucial conversation by sharing some thoughts on ten of these important skills, starting this week with “Work Ethic” and “Integrity.” We hope you’ll follow along in our series and share your ideas as we go! Fresh out of college, Joe arrives at his new job with visions of grandeur—perhaps a corner office with a great view. Then reality hits—his new work station is a bite-sized interior cubicle. Feeling disgraced, he delivers an inferior product and doesn’t last long. How can we help the “Joes” we know—whether as students, mentees, or children in our home? Parents can help by instilling the intrinsic value of hard work, avoiding doing their work for them (including homework! ), and by not condoning efforts that are clearly lacking. Educators can help by being mindful of how grade inflation is affecting work ethic and creating attitudes of entitlement. Our colleges and employers are increasingly dealing with both, as students feel “deserving” of special considerations and concessions. The bottom line: A strong work ethic builds dependability—an essential leadership quality. “We may not always be loved, but we must always be trusted.” This saying is so true! Integrity is one of the most important qualities (arguably number one!) that make up one’s “personal brand.” It’s very difficult to recover from a damaged reputation, and a lack of integrity is often the cause. They always tell the truth and call out the untruths of others. They own up to their mistakes and shortfalls. They uphold high ethical standards, both personally and professionally. They keep their communications about others neutral or positive (especially those who are not present). Whether we’re educators, parents, or mentors, we all have opportunities to incorporate these vital skills into our training of this generation. As you consider those under your guidance, how do they fare on these 21 skills? How might you help address the gaps? These are the hallmarks of a great mentor. If you are a new mentor, perhaps you’re asking the question, “What should we talk about?” Of course, the answer depends on the age of your mentee and whether yours is a more formal or informal mentoring relationship. If it’s a formal one, you’ll be given guidance and direction from your program leaders. Regardless, the age of your mentee will also inform your conversations…helping them navigate life NOW while sharing a glimpse of what lies ahead in the next few years. That’s different for a fourth grader than for a middle schooler or high schooler. Their uniqueness, value, and strengths. Far too many young people have an incomplete understanding of the treasure they are to this world. You can help them build their self awareness of who they are and what they have to offer. This Personal Balance Sheet exercise can help. The importance of positivity. It is said that you become the average of the five friends with whom you associate with most. Whether it’s friends, music, video games, TV, movies, or websites, surrounding yourself with positive influences is a key in life. Living with vision and intentionality. Today’s students are facing tremendous pressures, distractions, and anxiety with little margin to spare. It’s easy to become consumed with the NOW. Have them share their dreams and their goals for the next five years. Then, encourage them to make plans to turn their dreams into reality. Building a personal brand based on integrity. Brands aren’t just for businesses like Coca Cola and Starbucks! Encourage your mentees to develop a strong set of core values like integrity, work ethic, dependability, kindness, generosity, respect, teamwork, humility, and high standards of excellence. Share whom you admire the most and encourage your mentee to do the same, and you’ll open up this critical topic. The value of adversity and the power of resilience. Help them understand that adversity happens to all of us (using your own story for examples). The question is, How will we handle it? Share the personal growth you’ve gained from adversity and how those who helped you often faced similar challenges. Today’s adversity can become tomorrow’s encouragement to someone else! Time is of the essence. We’ve never faced a time when distractions were more prevalent. Help your mentees understand that time is a precious asset and should be managed accordingly. The secret formula to life. In the end, life is about how we use our time, talents, and treasure to make the world a better place. Through conversation and volunteering together, you’ll help them appreciate the formula, U>Me. Stay flexible. While you may have a lesson topic in mind, it’s important to ask whether there’s anything special they’d like to discuss. Whatever that is, that’s where you go! We hope these suggestions lead to unforgettable conversations with you and your mentee. We salute you and wish you the very best in your mentoring relationships! 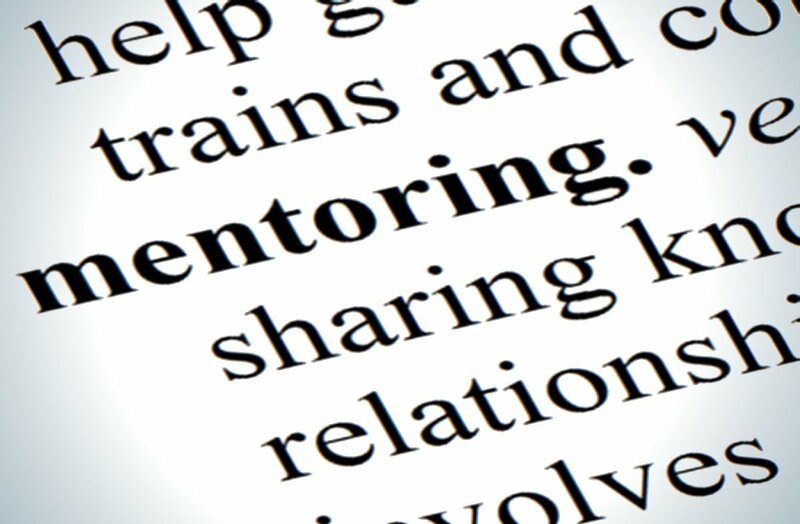 January is National Mentoring Month, so we at LifeSmart are focusing on all things mentoring! Why are mentors so important? Simply put, they offer wisdom and insight, friendship, encouragement, accountability, and invaluable connections for building a professional network. Mentoring relationships serve as a powerful intergenerational bridge that keeps us connected. And, all parties reap the benefits! I was fortunate to be mentored by two pioneers in the investment consulting industry when I was a young professional, and my experience was amazing! Duncan Smith and Madelyn Smith were my heroes—successful investors and incredible people of integrity. Despite their heavy workloads, they always took the time to mentor me, and I truly believe this was the key to my career success. I was always baffled by the fact that so few of my peers sought out similar opportunities. Ironically, years later, I filled the role that my mentors once had and I became the one who mentored the up-and-coming professionals. Again, I marveled at how few people came forward with interest in a mentor-like relationship. Whether it was from a fear of imposition or other factors, our young professionals rarely sought mentorship from their more experienced colleagues. Simply put, those who did were the ones on the fast track. Today, the issue is still the same. I strongly believe that most of today’s young people are declining a gift that is sitting right in front of them—a mentor relationship. A mentor would likely help them not only become more knowledgeable, well-rounded people, but better employees with more know-how and gumption! Having a mentor would give them a winning competitive edge—a leg-up on the others. By consulting with the veterans in the industry, young people can learn the job more quickly, along with the secrets to getting promoted. So, whether you (or your students or teens) are evaluating your career choices or already on the job, don’t hesitate to take full advantage of the wisdom around you. It is a free gift that you will be forever grateful you accepted. And, believe me, most experienced adults are honored to be asked! And, if you’re an adult with the capacity to give back, I urge you to become a mentor to a younger person. Whether it’s associating with existing mentor organizations in your backyard or something more informal, your community is filled with young people who would gain from your wisdom and friendship. Trust me, you’ll receive far more in return. If you’re a parent, one of the most valuable things you can do is to invite role model adults into your children’s lives. Who do you know that they could benefit from knowing? If I’ve done anything well as a parent (and, believe me, I have my share of warts! ), it’s that I am a prolific connector on behalf of my kids. It is amazing to see the fruit that has come from the new relationships that have been formed! Believe it or not, I even gained a beautiful daughter-in-law from such an introduction! Have you taken full advantage of mentors and wise counsel in your life? Who are they? How have they helped you in your life? Don’t forget, if you are a parent or teacher, encourage the young people in your life to pursue a mentor relationship. Few things will offer more lasting value. Did you know that January is National Mentoring Month? I was fortunate to be mentored by two pioneers in the investment consulting industry. Despite their many responsibilities and heavy workloads, they always took time to mentor me. I took advantage of every learning opportunity with them. I believe this was key to my career success, and I’m forever grateful to them. Interestingly, many of my peers didn’t pursue these same mentoring opportunities. I never understood why because mentoring is the best way to accelerate learning, particularly on a career track. By consulting with veterans in your field (or even just with those who are ahead of you on the road of life), you’ll make a better career decision, learn the job more quickly, and discover the secrets to getting promoted. With the right mentor, you’ll also gain practical wisdom about life and key decisions you’ll be making. They’ll teach you from their own personal experience what worked and what didn’t. For many mentors, the opportunity to mentor gives new meaning to their past adversity and challenges. Look for people who are doing what you want to be doing, and doing it well. Without being obnoxious, look for ways to observe them in action and get to know them, if they are open to it. 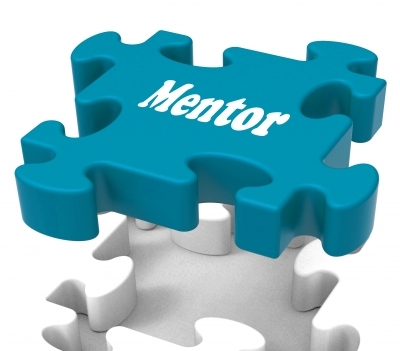 Be a value-added “mentee.” Return favors and time/energy investment in appropriate ways. What can YOU do for him or her? Don’t hesitate to take full advantage of the wisdom that surrounds you. Mentors can be a benefit in many areas of life! Many times, a mentor can provide a fresh perspective — a new way of looking at a problem or issue. Look for a relationship in which the mentor is more a coach than an advisor — one in which he or she facilitates your decision-making process by suggesting alternatives, rather than telling you what to do. Ideally, your mentor will motivate you to do your best work—and be your best you! LifeSmart Publishing has valuable resources for mentors, including our What I Wish I Knew at 18 book and student guide. Be sure to check out the curriculum and resource section of our website.